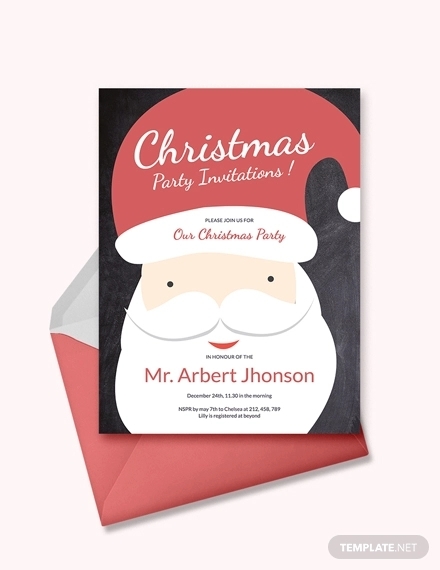 There might be a chance that you or someone who already working on a guest list for their Christmas party. Well, if not on an individual level, there must be some event or your local pub and club will have something brewing for the Christmas party. 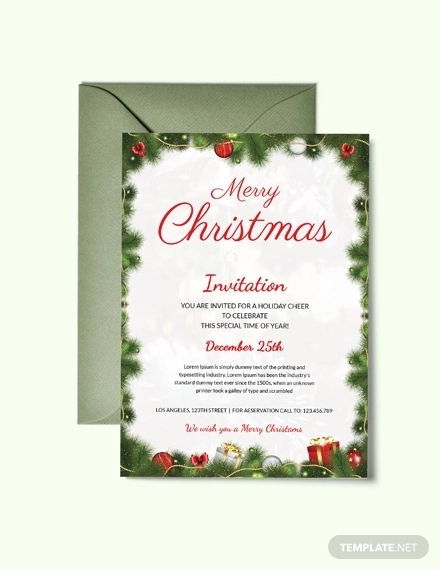 And that provides you an audience to cater your Christmas party invitations. Check out this elaborate list of Party Invitations. 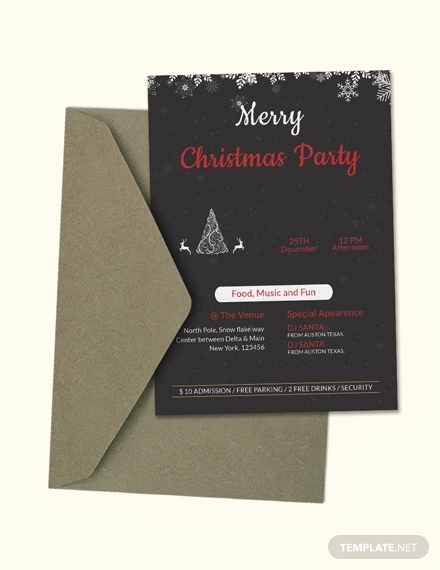 These might be both free and premium but you can also just look at free party invitations if you are on a budget. Christmas sweaters have a particular design pattern to which comprises of Christmas elements. 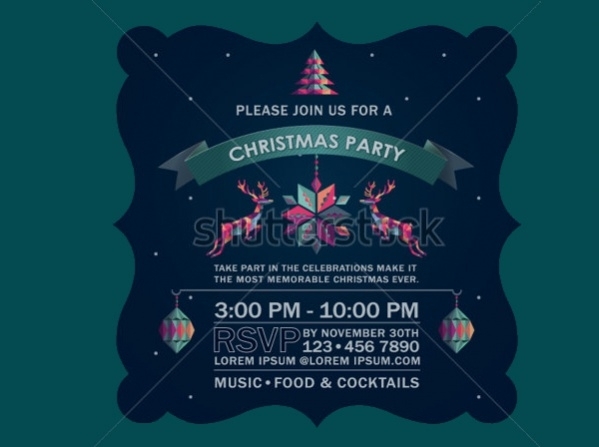 And here is a cheap Christmas party invitation that contains that similar design as the background set in a size of 5 x 7 inches. You may also see Free Christmas Wallpapers. 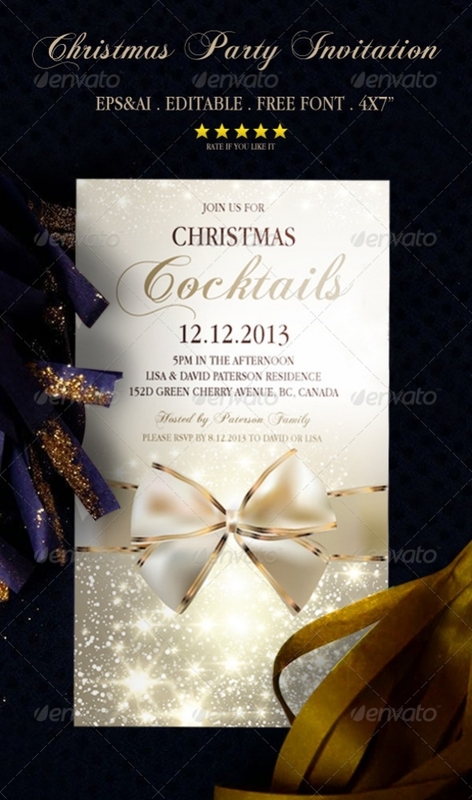 Here is a party invitation design that you can download in PSD format or as a word document. The design is available in two different sizes and is set in a resolution of 300 dpi and CMYK ready to print colors. 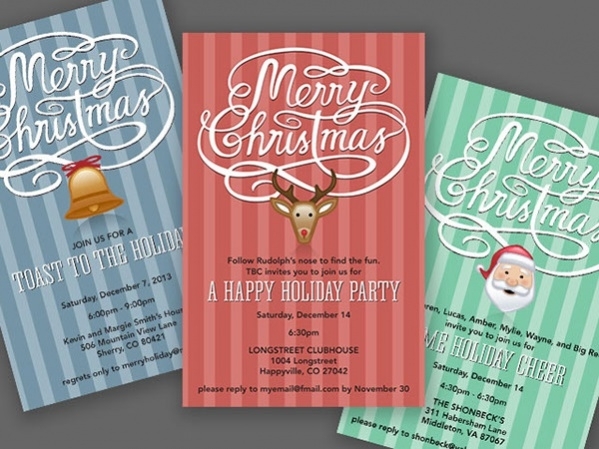 You may also see Free Christmas Designs. 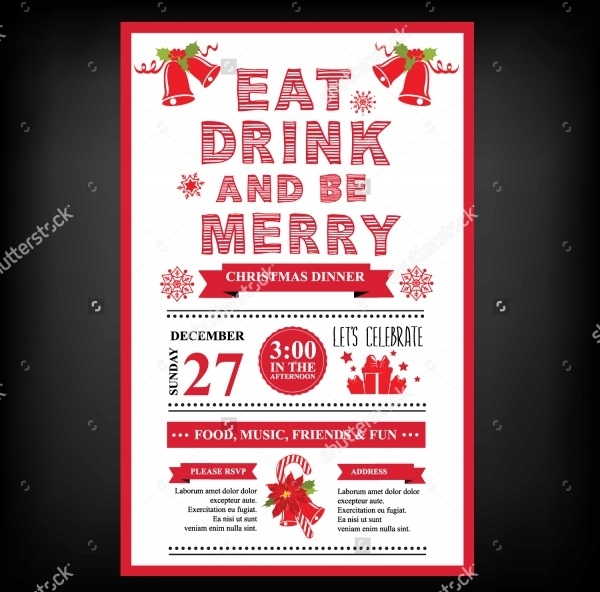 You can even add a bit of funny touch to your design instead of something as intricate and detailed as the previous one with this free vector illustration that is also set in ready to print CMYK colors. This one is specifically for the clubs and high-end elite parties where there will a lot of glitter and glamor along with alcohol. You can download the premium design in EPS or AI file format from the given link. 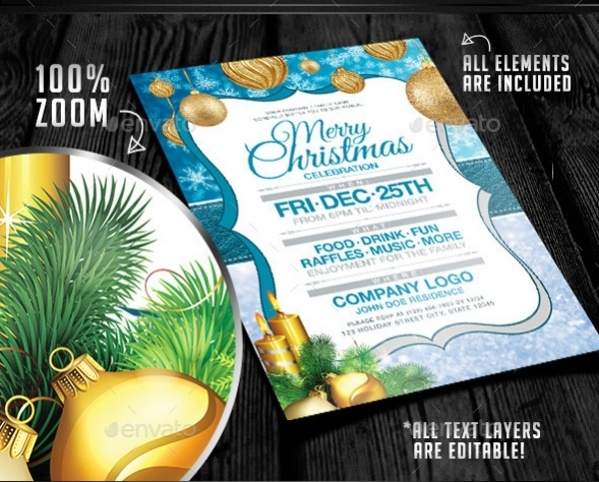 Here is another premium design set in a size of 5 x 7 inches and 300 dpi resolution that you can use for corporate invitations and such. The design provides you space to put your company details and logo if you like. 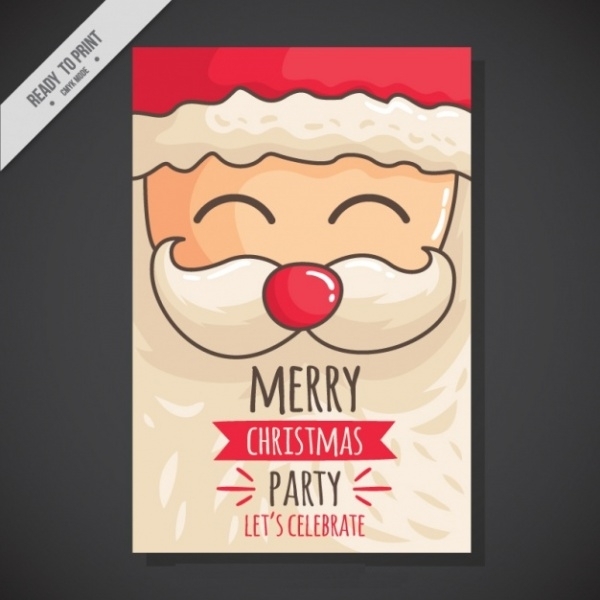 Check out this Christmas party invitation design that has been shared by Alberto Lora. 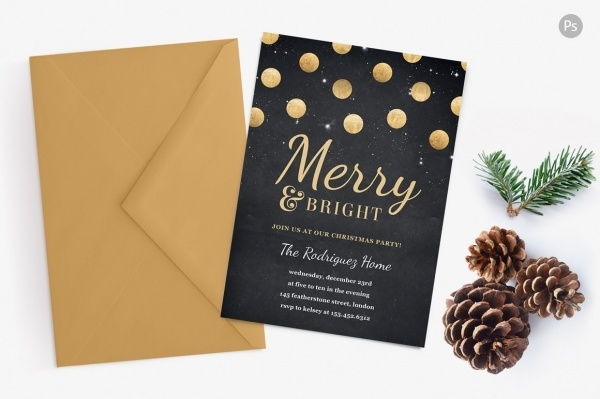 The use of bokeh effect in the background make the design livelier and convey the light filled Christmas. As part of branding work, you might want to send out goodies to some of your loyal customers and even employees. And here is a great design that you can use as a reference for packaging design and even as a greeting. Here is a design that shouts cool and fun. And it will be perfect for the younger crowd to use it as an invitation for their Christmas parties. The design download will include 2 PSD files set in a resolution of 300 dpi. 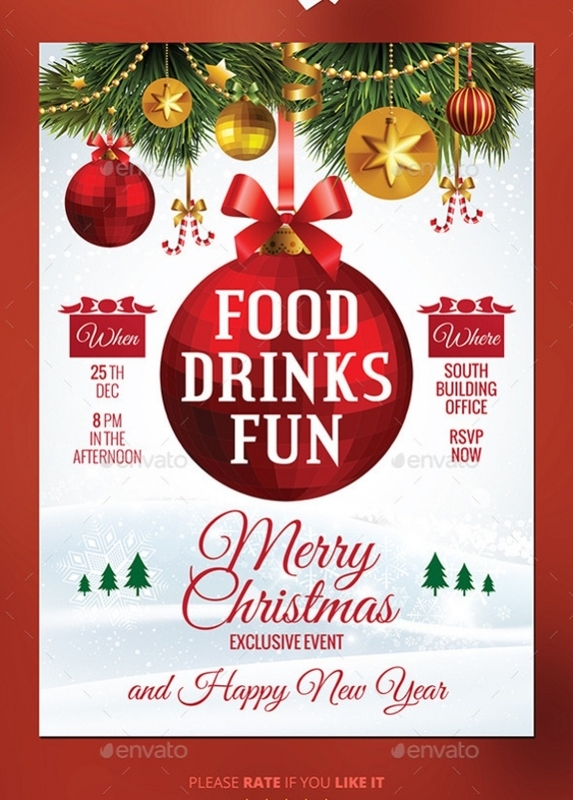 If you are looking for a free design and something that is not like the conventional designs you have seen so far then do have a look at this stock vector illustration that will definitely catch your designer eyes. 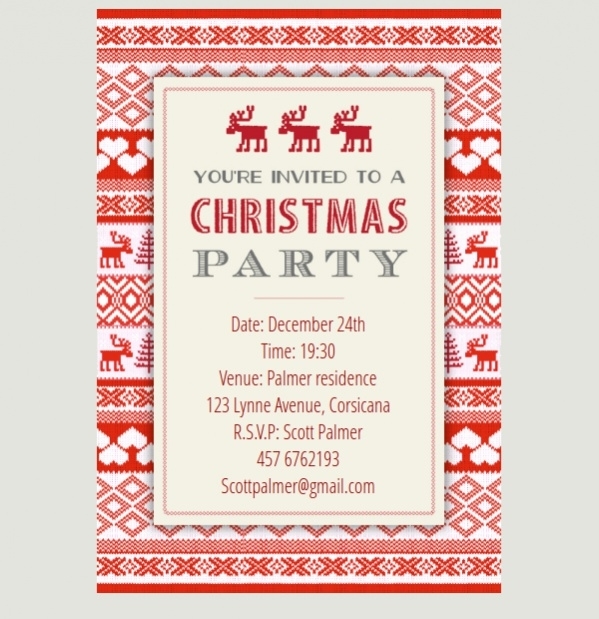 Check out this neat and fancy yet simple looking design for a Christmas party invitation. You can use it for yourself or pitch it to your local bar client as it will go for any class or type of party. 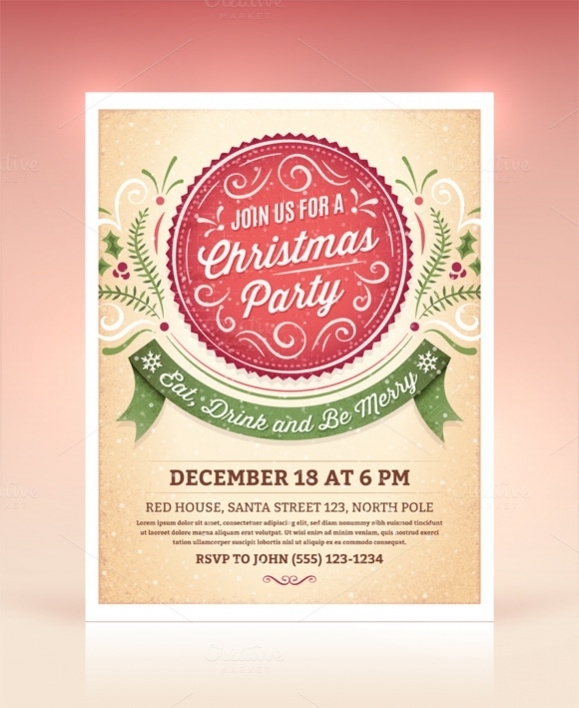 Here is a flyer design for a Christmas party invitation that is set in a size of 8.5 x 11 inches and 300 dpi resolutions. You can download the premium editable illustrator file in CMYK colors from the given link. This too is a simple, classic and elegant design that is set in shades of gold on a black background. The design is set in a size of 5 x 7 inches and can be downloaded as a premium PSD file from the below-mentioned link. This design subtitle might refer to kids, but the design works for any age group. And to be honest, the design looks quite amazing as well with its truck and the tree. And also the choice of colors is also very Christmassy as you would like it to be. 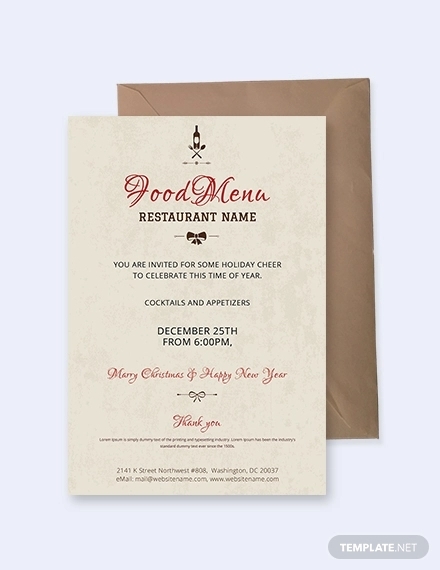 In case you have a restaurant and are planning to have a Christmas dinner party or something at your hangout place than here is a great design for you. And because it is free, you don’t even have to worry about the designer fees. 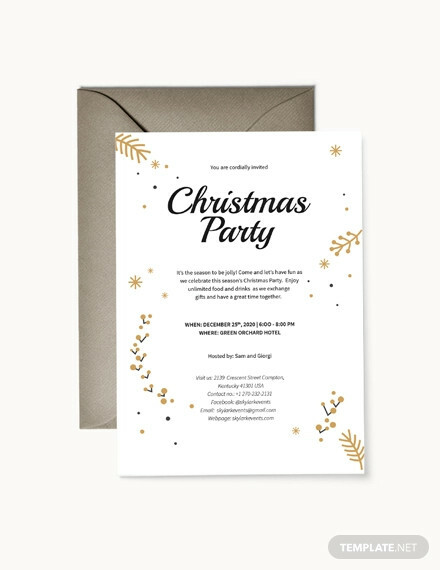 Tracy McKinley has shared this cute and lovely design for a Christmas party invitation that you can download in jpeg or pdf format. Make sure to not copy the design and instead use it just as a design reference or inspiration. 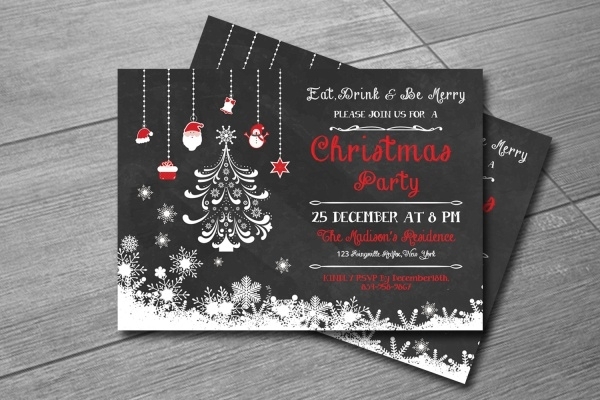 How to use these “Christmas Party Invitations”? 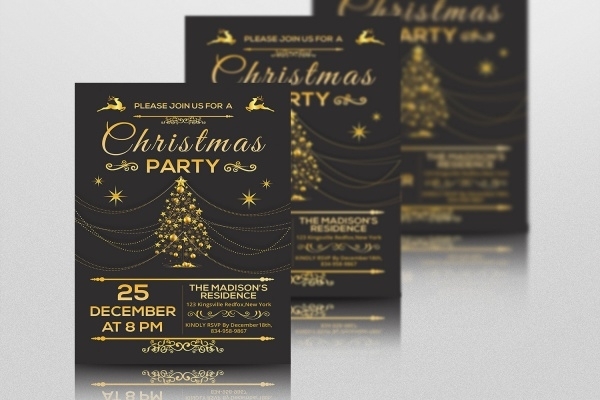 Working with these Christmas party invitations is no rocket science. These few lines are important for beginners who are still trying to figure out a way to work with mockups and templates. All you have to do after you have downloaded the design is to fire up an editing tool (either online or through your local filesystem) and click on the aspect that you would like to edit. If you want to change the text, then text tool is probably your safest bet to go about it. Similarly, work your way around images using eraser or paint brush or just placing your new image on top of the previous one if you can. 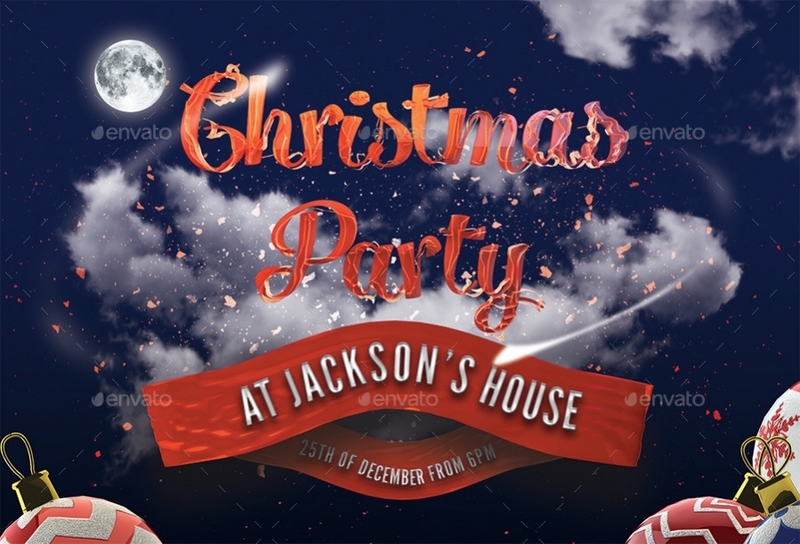 So make sure you never go out of Christmas party invitation ideas ever. And even if you do, it shouldn’t take more than a minute to find a new one. And in case you have downloaded the required design, you will be ready with your professional design in just a few clicks that will not take more than 5 minutes of your important time. 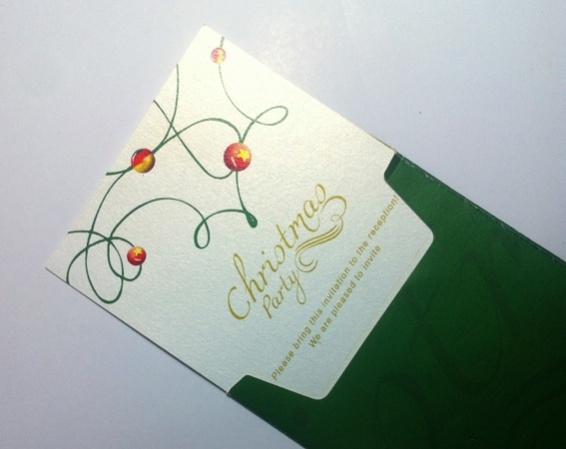 You may also see Christmas Invitation Card Designs.